The Holiday Inn Phi Phi Island is a luxury resort on the northern beach called Laem Tong on Phi Phi Don Island. The Holiday Inn is a big international brand name and is often full and so doesn’t have good deals on all the time but with a little smart attention to the way the Holiday in sets up its pricing you can get some excellent prices. Holiday Inn Phi Phi Island has 6 types of accommodation so there is a large difference between the Garden Bungalow and the Coral Beach Studio. When it comes to the Holiday Inn, the accommodation decor and facilities are of an exceptional and luxury standard. This means that the Garden Bungalow as a living space is very similar to the best room in the resort. What you are paying for is the location or view. This makes sense. The accommodation on the beach is always more than the room type a row back. So this leads me to conclude that as no accommodation of the Holiday Inn Phi Phi Island is any more than 40 meters back from the beachfront that the best deal is the Garden Bungalow. 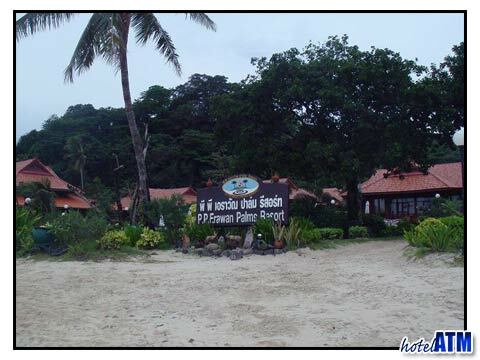 The next point about the Holiday Inn Phi Phi Island is the seasonal nature of the pricing. November to the End of April is high season (and there is a peak season 20th December to 20th January). During this low season the Holiday Inn Phi Phi Island prices are 26% cheaper (in 2012)than in high season. This will change every year but it will always be a lot better value, a better deal, to try to take your break at the Holiday Inn Phi Phi Island during May till the end of October. To get the best deals at the Holiday Inn Phi Phi Island you need to play the local hotel industry and you can make some great savings. hotelatm.com and phi-phi.com have a specials page at Phi Phi Deals. This goes through all the Free Night Specials, Fixed Night Promotions, Special Discounts, Early Bird Offers Honeymoon offers on the island by month. For the last few years the 3 Phi Phi luxury resorts of the north part of the island have vied to offer the best promotion in low season and the stay 4 and pay 3 nights has always been available. This low season deal is on top of the low season rates, so the your prices start to come in at a superb 40% less than high season prices. The best months of low season are May, July and August as the monsoon passes over Phi Phi Island during June and September. This means that you can get some 'high season like' weather at Holiday Inn Phi Phi Island but only pay low season prices and potentially save up to 40%. Holiday Inn Phi Phi Island provides another review of the resort and one that focuses on the facilities, how to get there and also the other reviews like that at tripadvisor and agoda.